Face It realeased on Steam Early Access. And it's cheap! Now you can visit the store page and buy the game while it's still cheap. As we add new features, the price will rise. Game on! Now that we got the greenlit, the plan is to release on Steam as early access, where the game should be for 4 to 6 months. Regarding the pricing, the Early Access will cost $12 on Steam. 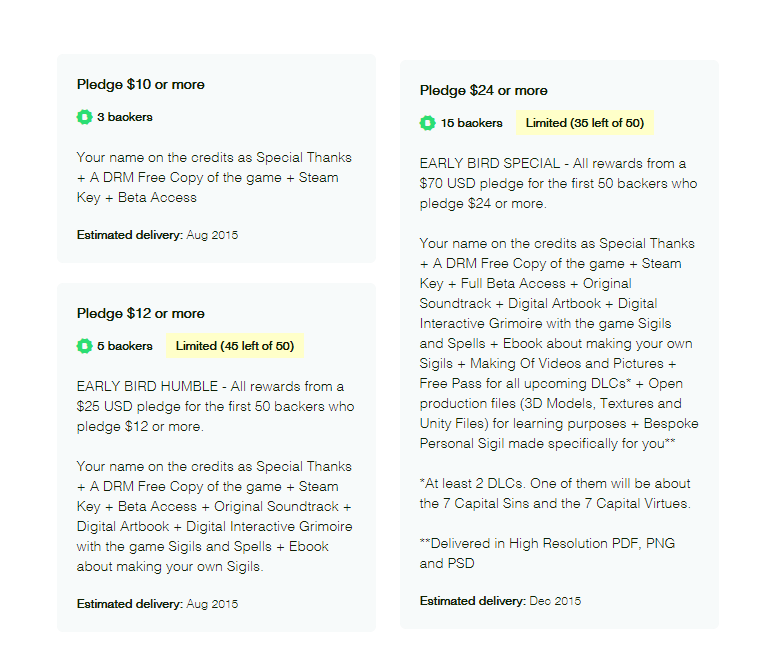 But if you pledge only $10 on Kickstarter you will get the very same Early Access Steam Key. If you wait until after the Early Access you will have to pay $15. In our Pilot Version (demo), you will deal with two Game Worlds: the first game world is called "Solus in Tenebris", and it has 10 entire levels for you to play. This game actually looks good. hi, i think Face it looks fantastic. I love horror, hehe. Now i´m finishing the soundtrack in other game and it would be great to work beside such a promising team. I think my music could fit well in your project. You could listen here: https://www.youtube.com/watch?v=pA7fQzZ9gUU What do you think? my email is: cga.sound@gmail.com Thank you. Good Job. Great idea, i just can´t wait to play the whole game. Awesome! que ele venha logo , ancioso por isso ! Então, cara... Na verdade custa sim inserir o nosso português. Não é um jogo que dá pra traduzir só colocando legendas. é necessário dublagem, tradução de arte e até alteração nos levels. Existem planos para se localizar o Face It e isso vai ser feito ainda esse ano, mas não convinha esperar a versão em português ficar pronta pra lançar o Greenlight. Uma pergunta: Por que não tem opção de linguagem em português? Cara, eu entendo perfeitamente fazer em inglês, mas não custava tanto assim inserir o nosso idioma. Face It - A survival game to fight inner demons has been Greenlit and is now listed in the Steam store. For the latest information, purchase options, and discussions for Face It - A survival game to fight inner demons, please see it on the Steam Store or in the Steam Community.